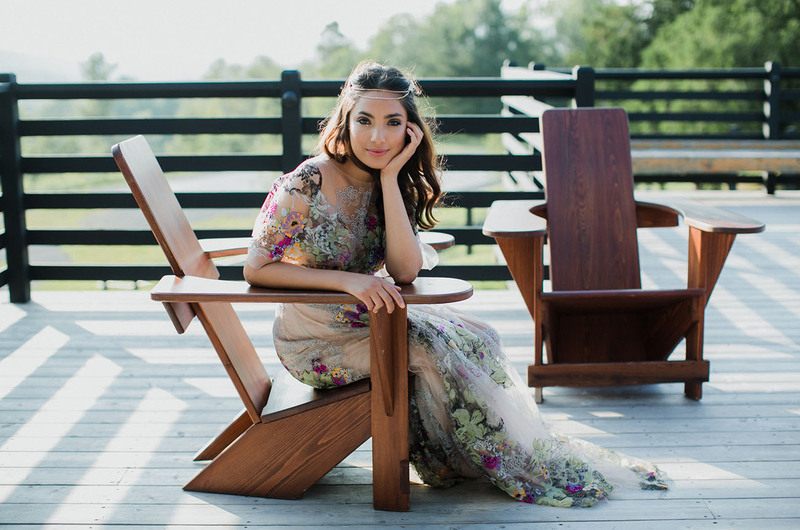 For the past few years, we’ve been crushing on Hushed Commotion and all the delicate designs that come from their studio. 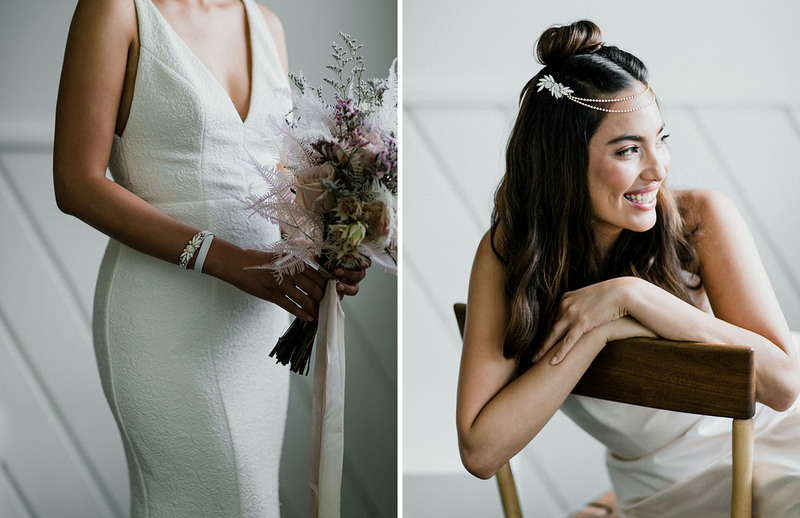 From romantic and modern, to luxe nature-inspired pieces, and even those in mother-of-pearl resin, these are seriously GORGEOUS accessories that top off a bridal look! 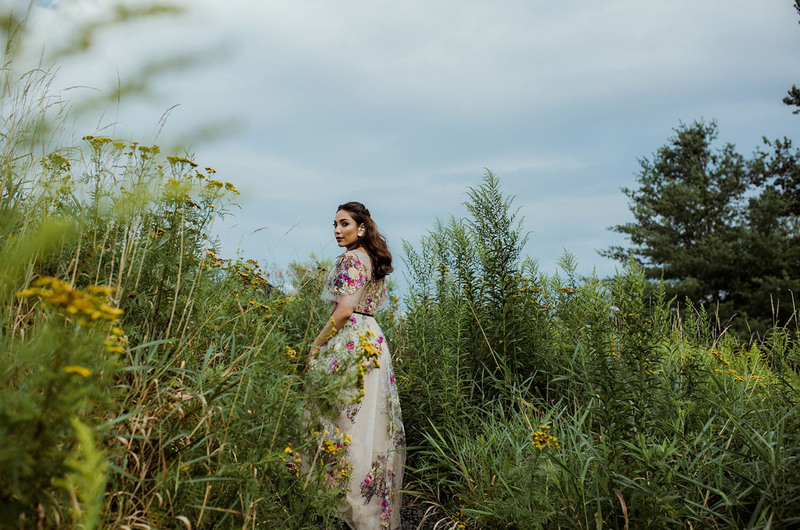 Now, let’s explore the latest designs in the photos captured by Amber Gress Photography! Can’t get over that pop of gold! Hushed Commotion also did their first ever collaboration with Medusa, a hand bag designer out of Tel Aviv! These bags hand-beaded in Brooklyn, but made with vegan leather in Tel Aviv! And available in both gold or white. Pretty fun, right? You can find this beaded clutch here! Leather is their fabric of the moment, and many of the pieces that look as if they’re made of metal, are actually custom cut metallic leather! 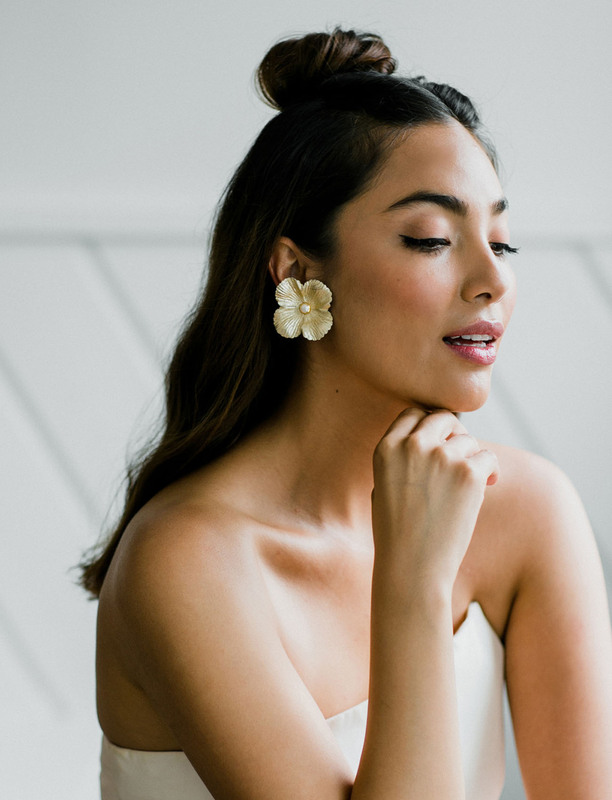 These Raquel earrings are Thea’s (the designer) favorite item to wear. 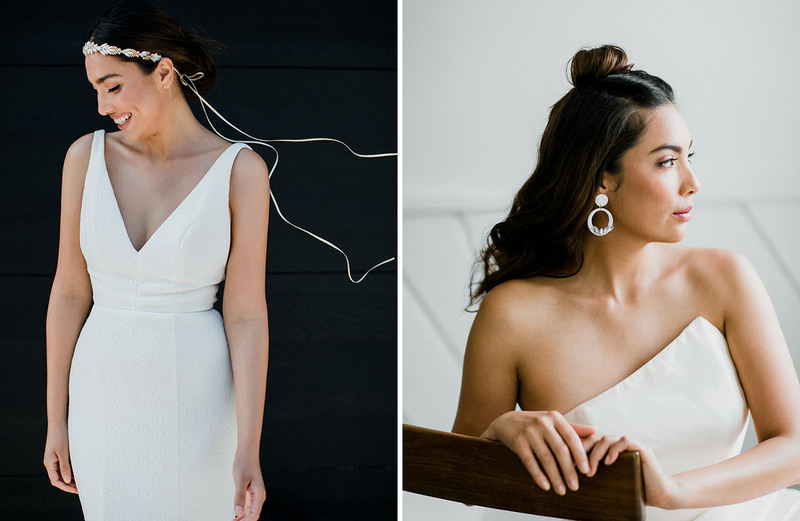 Not only are they STUNNING, but they are so much lighter to wear…no heavy metal pulling on your hair or ears. Major win! 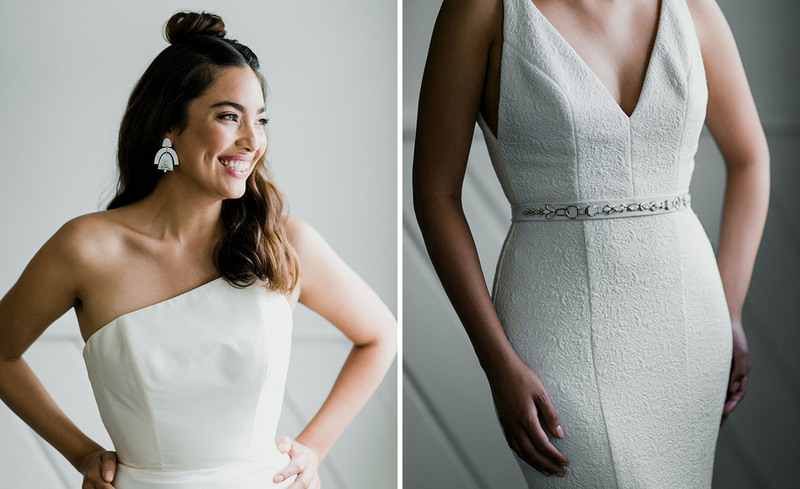 Meet the Lola Stud Earrings on the left + the Nanette Floral Belt on the right. The Lola laser cut earrings were initially drawn by Thea, then sent to be laser cut by a local artisan house, and ultimately hand assembled in the studio. So much love is put into each piece! Looking for something to cinch in the waist or add a pretty touch to your wrist? Might we suggest the Maria Gold Leather Bracelet or the Henri Leather Belt? That DROP! 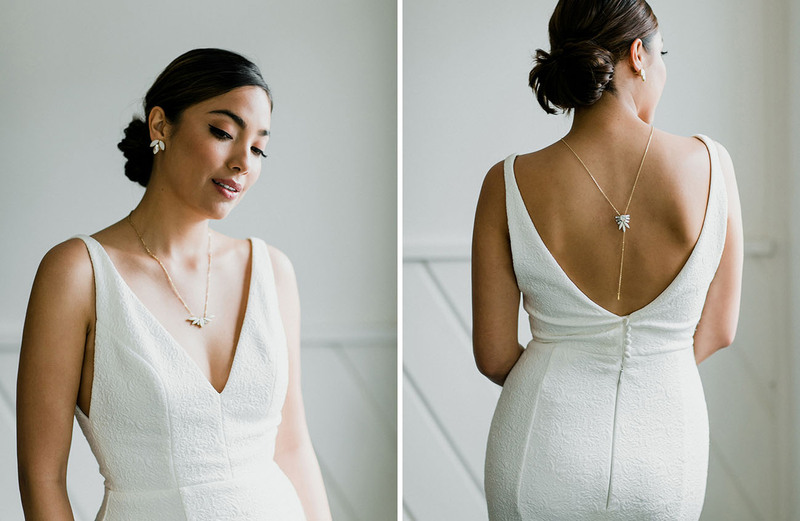 Talk about a subtle touch of drama…we’re all about these Edyth Drop Earrings! Necklaces are new to this collection! 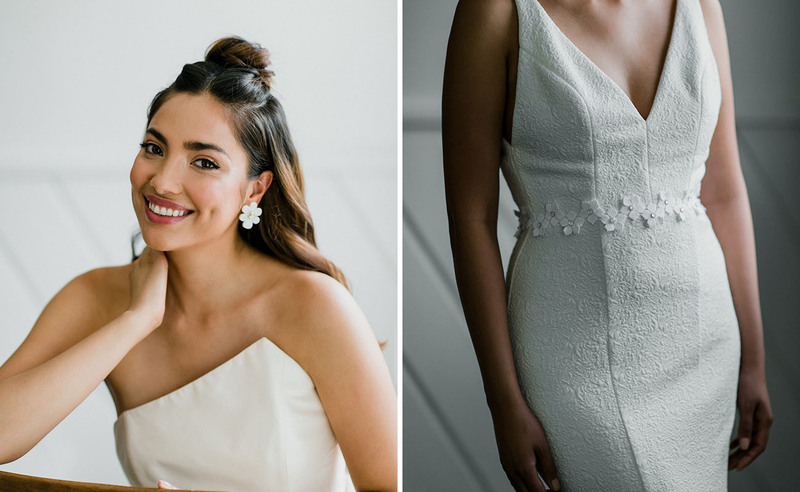 Thea, the designer of Hushed Commotion tells us: We had so many brides this year reach out for custom pieces, so we made it happen! Each one is available in multiple metals and 3 different chain lengths! Seen above is the Walsh Modern Necklace on the left, and the Henley Necklace on the right. Isn’t that Nigella Headpiece a fun pop? Especially with the flowing ribbon that catches the wind in such an effortless manner. 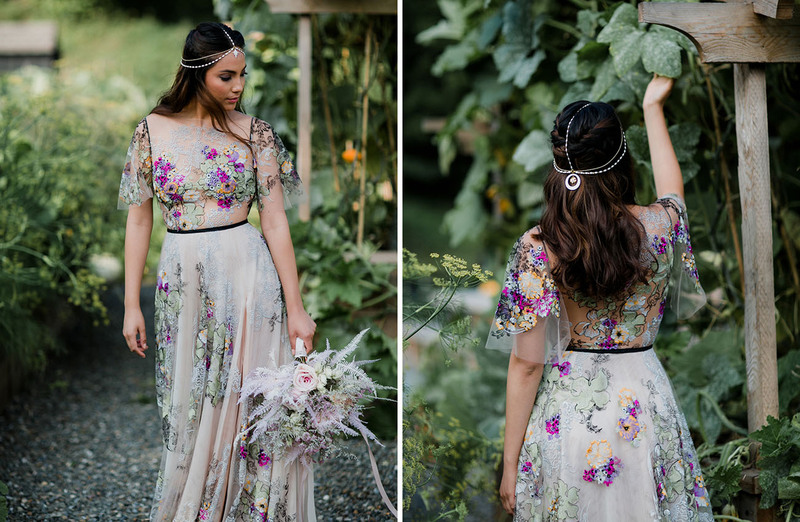 Who ever thought that a beaded masterpiece would work so well with all that lace?! 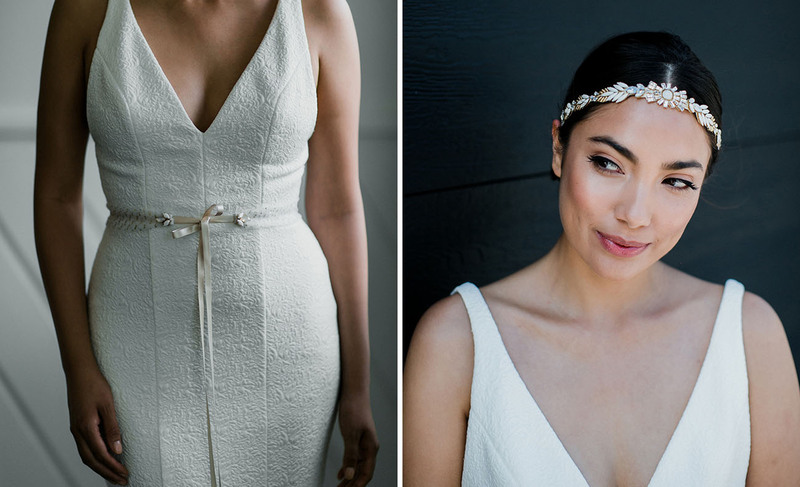 How we adore the Simone Belt. Do you prefer the Camden Comb or the Zora Earrings? We can’t pick! 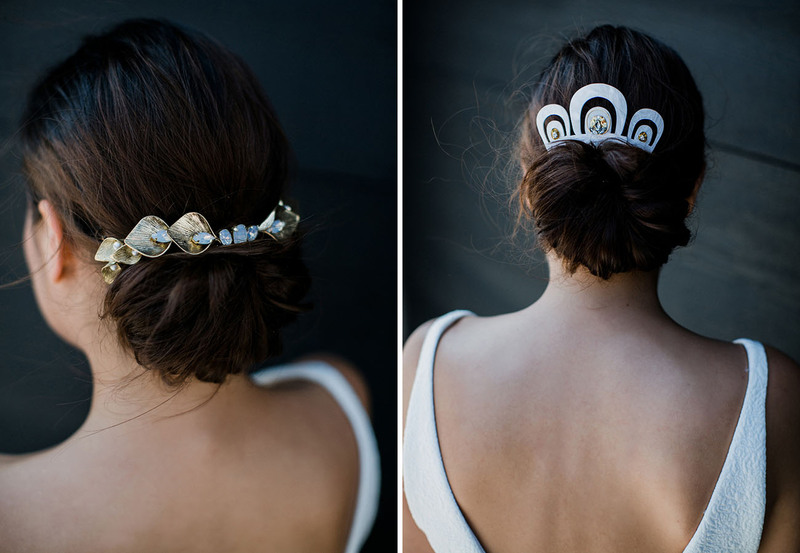 Opals and pearls are having a BIG moment in this collection, as seen in several of the hair combs…made of mother-of-pearl! 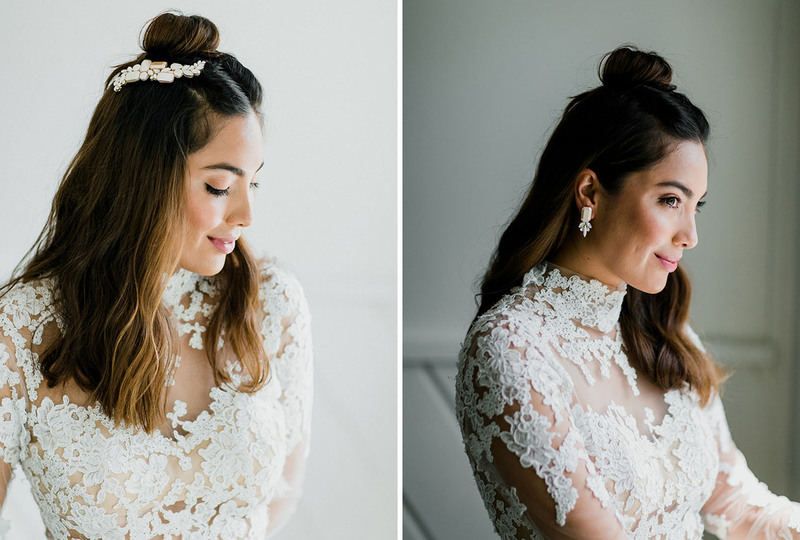 How stunning are these to add a touch of luxe to an up-do?! On the left is the Carmen Comb, and on the right is the Clyde Comb. 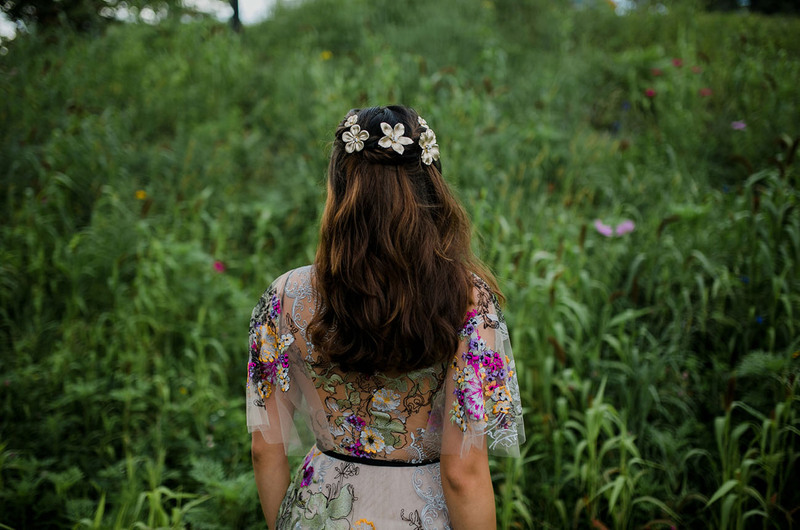 For those wanting to add a little boho flair, this is the Gloriana Boho Hair Chain. Want to win a $250 gift card to use toward the collection? Be sure to check our Instagram page today for all the details!! 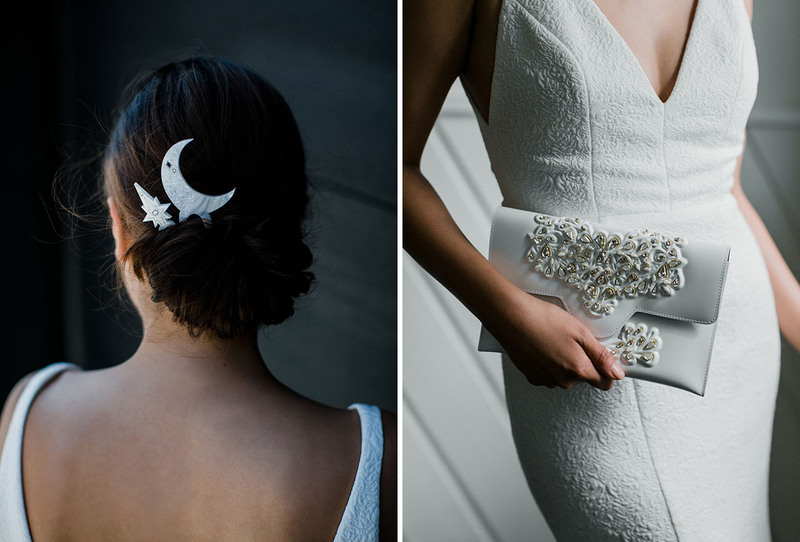 Such pretty pieces that add the perfect *something* to a bridal look, don’t you think? 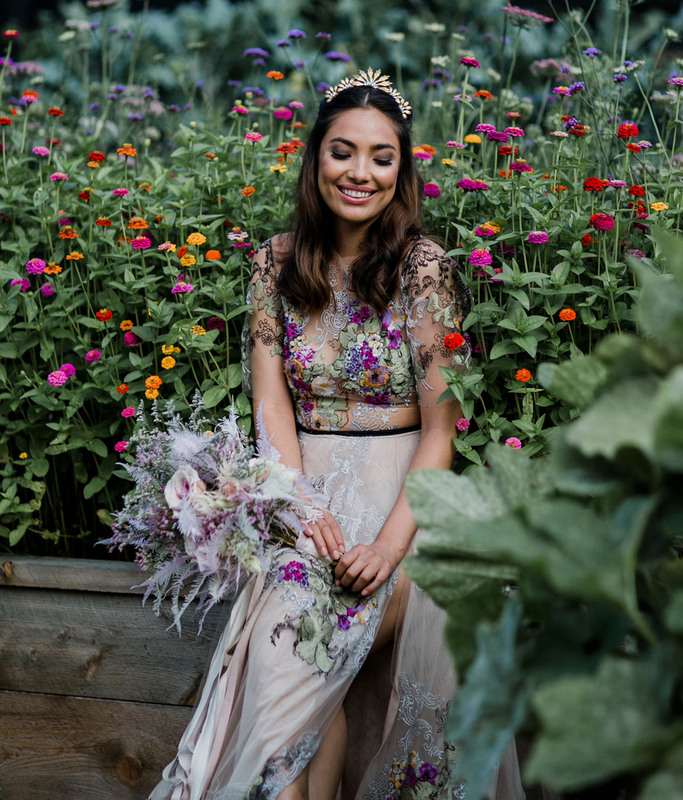 NYC brides!! Hushed Commotion recently opened a new bigger studio in Brooklyn! Visits by appointment only. 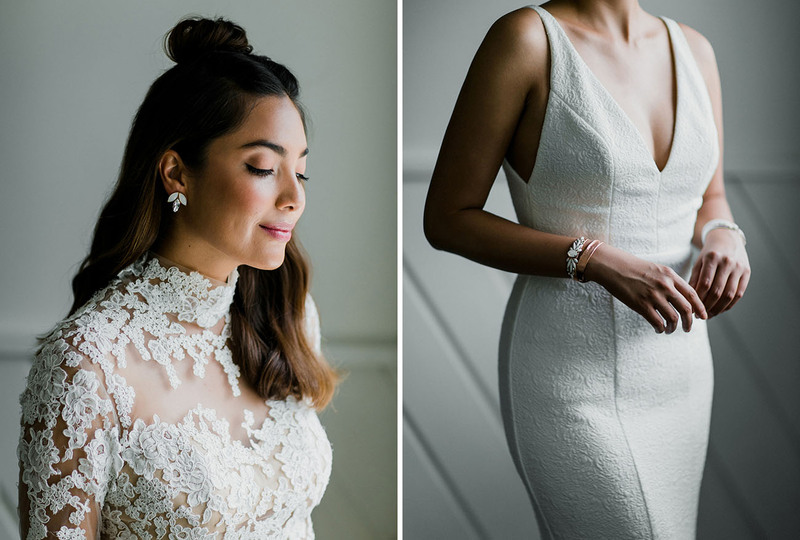 We’d love to hear which pieces you’d like to add to your wedding day ensemble in the comments below!